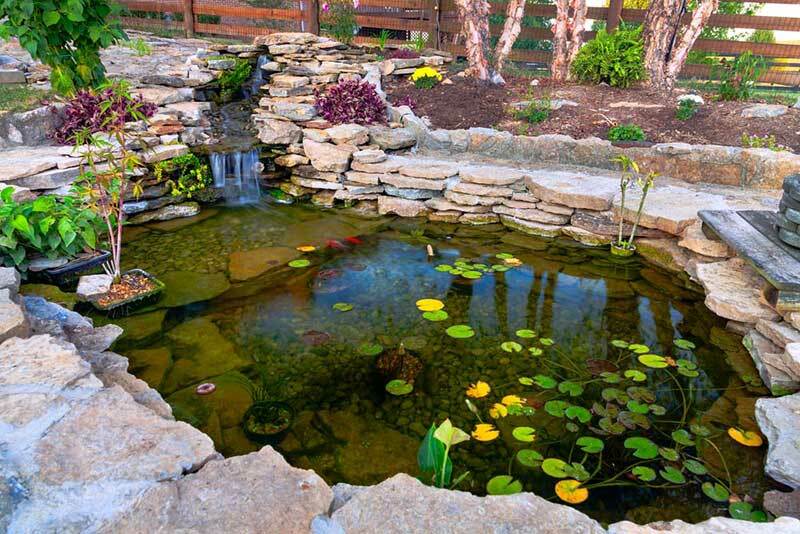 There’s nothing quite like the crystalline appearance of a well designed backyard garden pond to raise your landscaping game. When your flowers, succulents, and lush green lawn are reflected in a handcrafted water feature, the entire look truly pops in a fresh light. 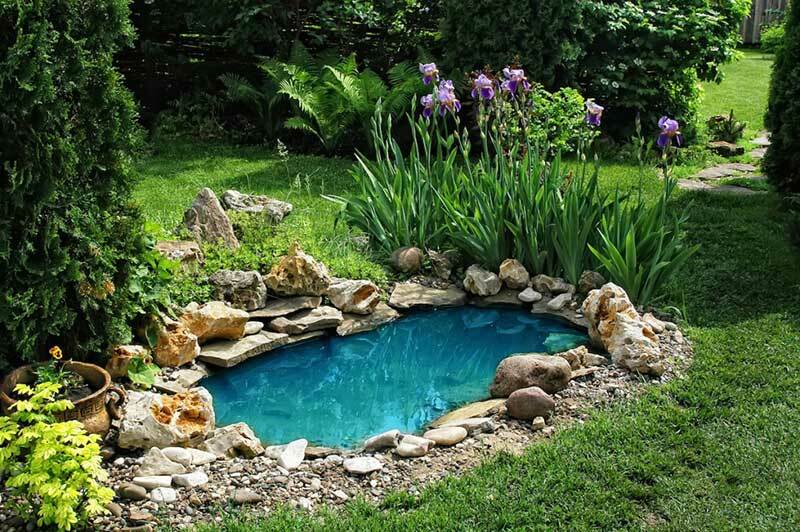 We wanted to share the joy of these spectacular garden additions in the best way possible: with a gallery featuring some of the most striking backyard ponds we could find. 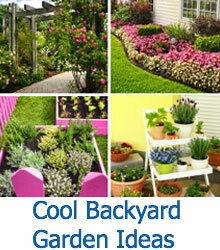 As you peruse the photos below, take note of what makes each pond unique in both construction and placement within its respective garden. These manmade water features are purposely sculpted for a specific look, and the framework they’re placed into makes all the difference. Stone borders, adjacent plant life, overall shape, and a host of other aspects define the overall appearance. Ranging from bath-sized to lawn-spanning, our collection of garden ponds showcases a rare variety of scale and style. 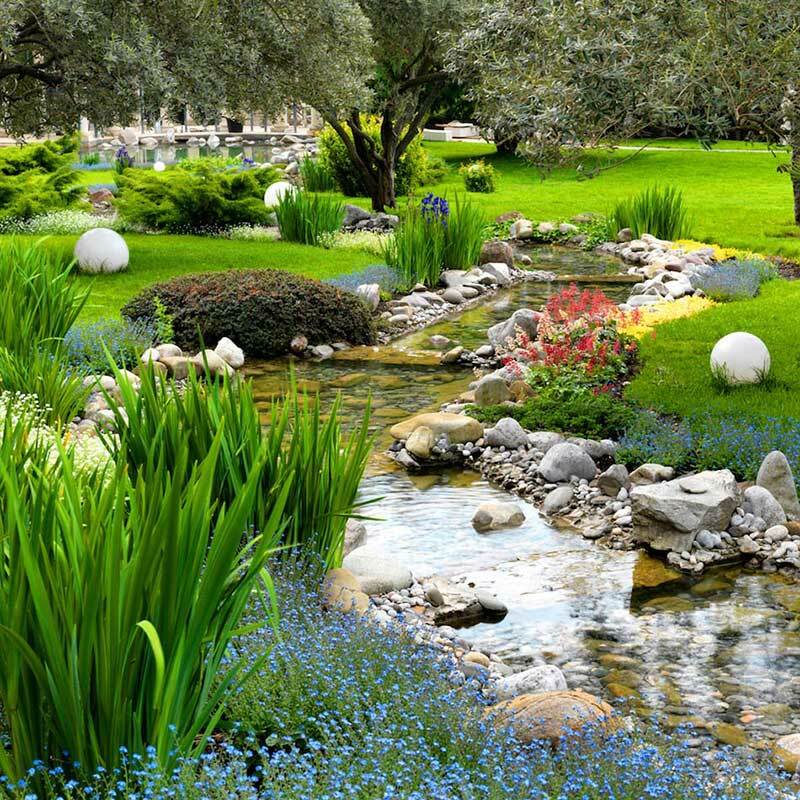 Some of the ponds are large enough to accommodate wooden foot bridges and moving water features, while others are discreet little pockets within a thriving landscape. Some of the most striking examples feature lavish waterfalls, requiring an understandably more complex setup to accomplish. 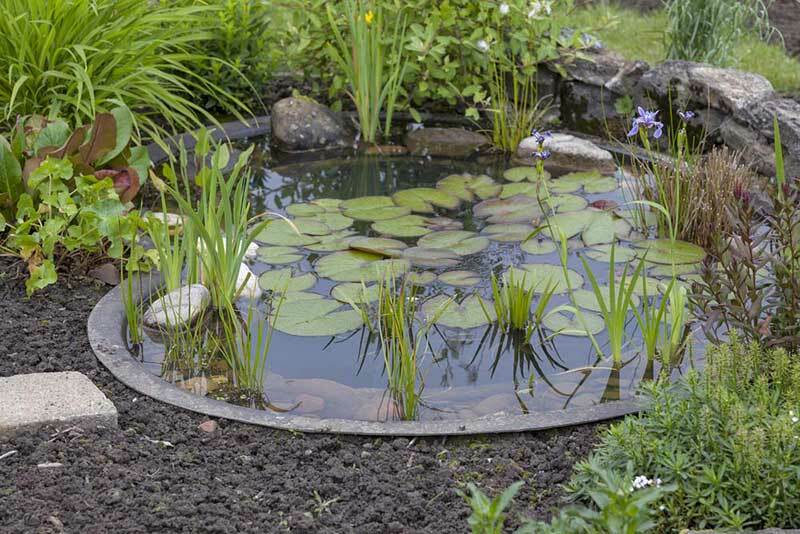 The best part about wanting a garden pond for yourself is that, with enough time and effort, they do not have to cost a fortune to enjoy. 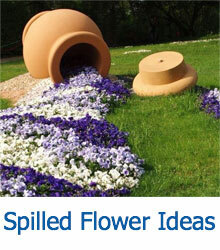 For the investment, there are few gardening projects more rewarding. Our first garden pond is part of a larger “creek” feature, ending in this kidney-shaped pond, wrapped in stone. A small waterside deck complements the rustic wood bridge over the creek segment, while a spare but thoughtful arrangement of plant life surrounds the pond. Bridging the edge of a stone patio and the lawn, this raised garden pond is framed in a low concrete stone wall, with a small upper-level reservoir feeding into the main body. This creates constant movement and raises the visual interest. Here’s one of the smaller ponds we found, but no less beautifully placed in its garden. 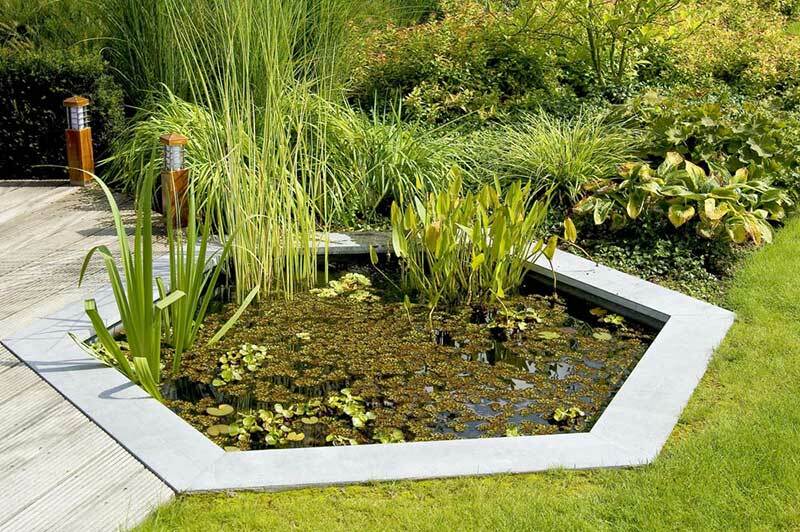 A slim metal liner set into the soil creates the shape of the pond, while embedded rocks, lilies, and grass anchor it into the natural surroundings. Wrapping a sharp angled garden, bordered by concrete and bricks, this bespoke garden pond acts as a border to the raised garden at right and lawn at left. The pod takes on the appearance of an aqueduct, neatly defined by straight lines and contrast with the landscape. 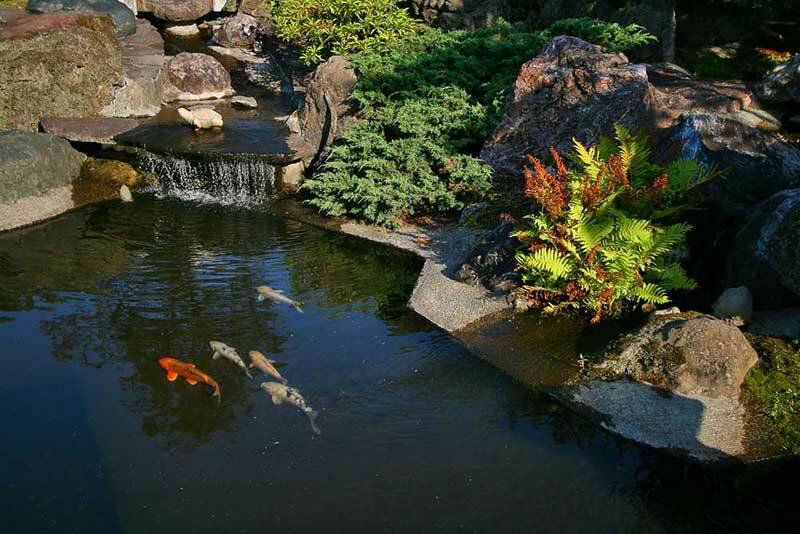 Here we have a spectacular garden koi pond, using the bold stone surroundings and elaborate waterfall feature to cultivate high visual appeal. 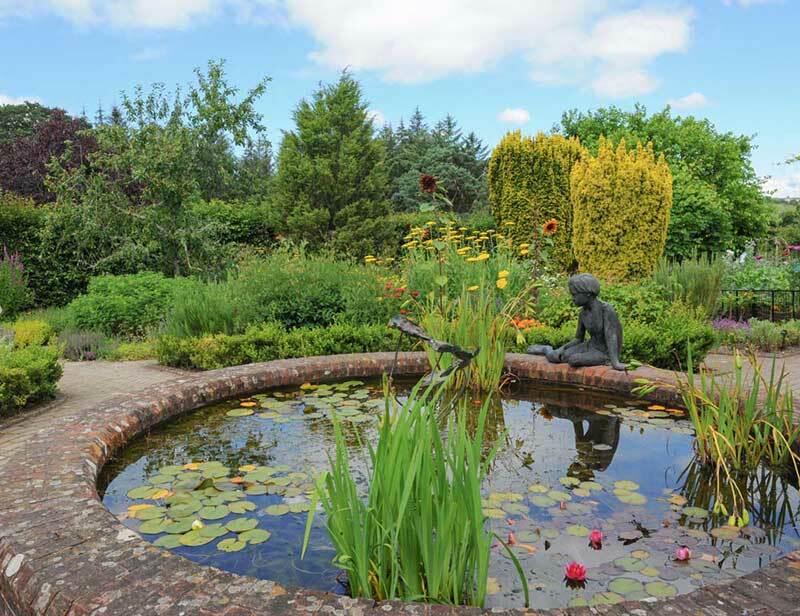 Being home to a collection of fish, the pond is kept clean and moving via the waterfalls and embedded pumps, allowing it to sustain life within the garden. Here’s another garden koi pond, flourishing as part of a larger zen garden, replete with moss covered stones, lanterns, and an immaculately placed collection of small trees. 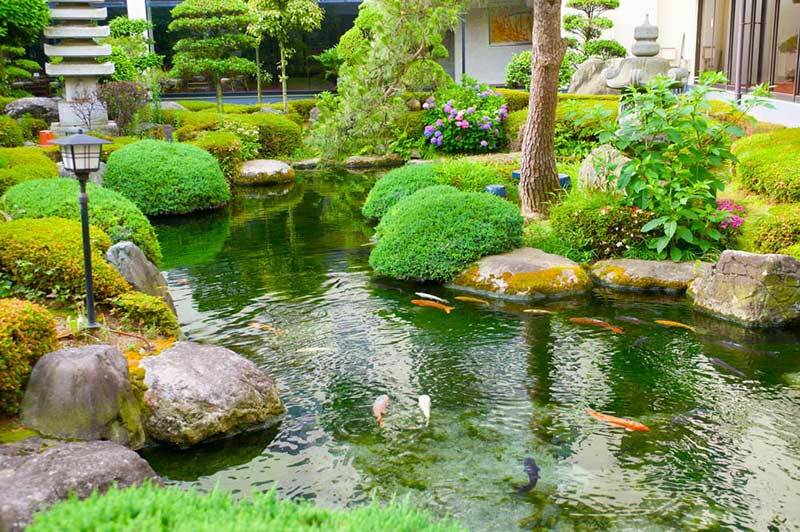 The water snakes its way through the manicured landscape, acting as centerpiece to the detailed yard. 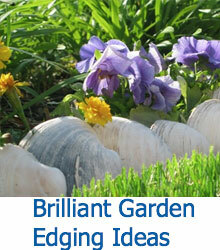 After the previous, sprawling entry on this list, we come to a more discreet garden pond. This hexagonal feature stands between a natural wood deck and rich green lawn, an angular presence blended with its surroundings via an abundance of greenery, including lilies, growing in the water. 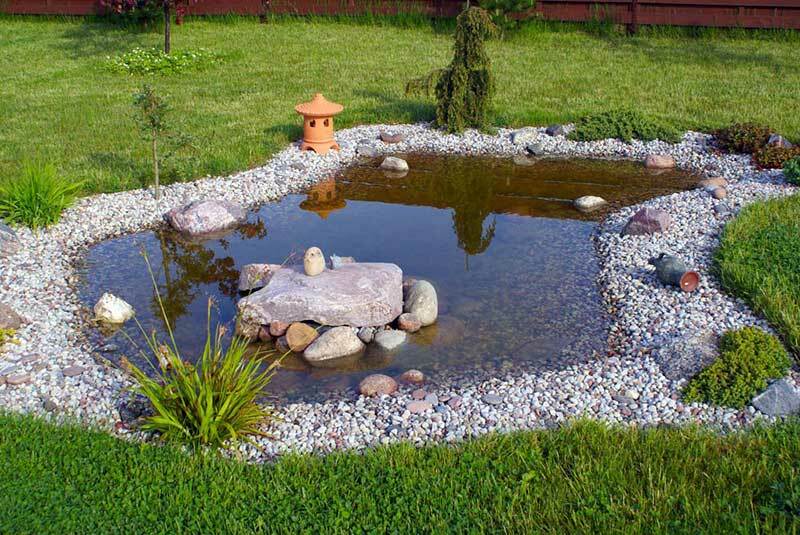 This elegant little pond, shaped in a natural oblong manner, resides at the center of a lawn, wrapped in polished stones sprinkled with greenery and various handmade elements. An old vase and terra cotta lamp complement the tiny owl figures planted on the “island” rock. 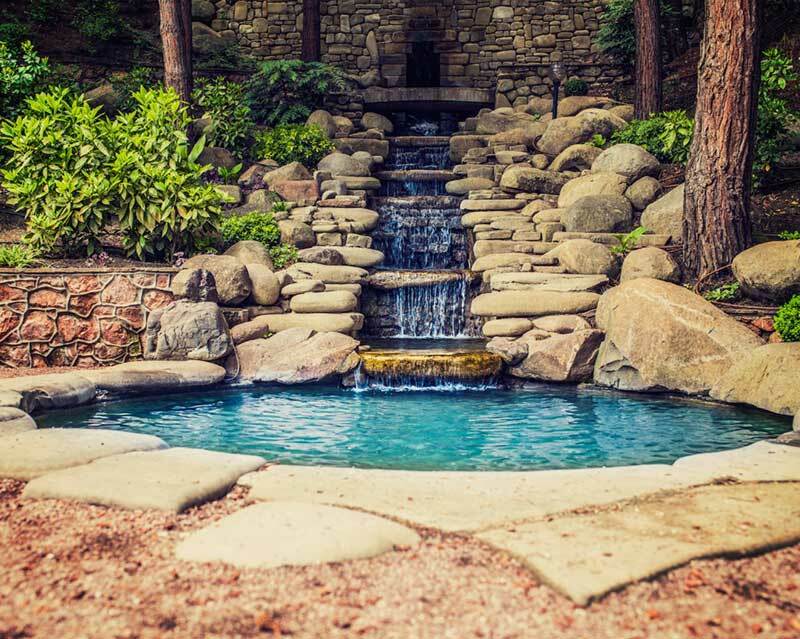 Within a sprawling, lushly green backyard space, this garden pond stands wrapped in massive stones, fed by a tall waterfall at left. A variety of shrubbery and flowering plants surrounds the cozy body of water, with manicured bushes dotting the landscape. The entire scene is so handcrafted and purposeful. 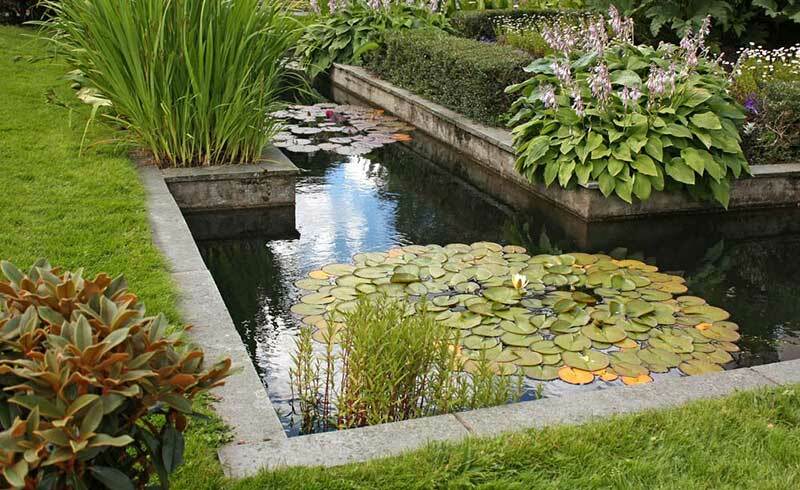 This spectacularly traditional garden pond stands raised in a red brick frame, with lilies and other plant life growing within the water itself. A slim copper statue adorns the edge, while red brick garden path extends in every direction. 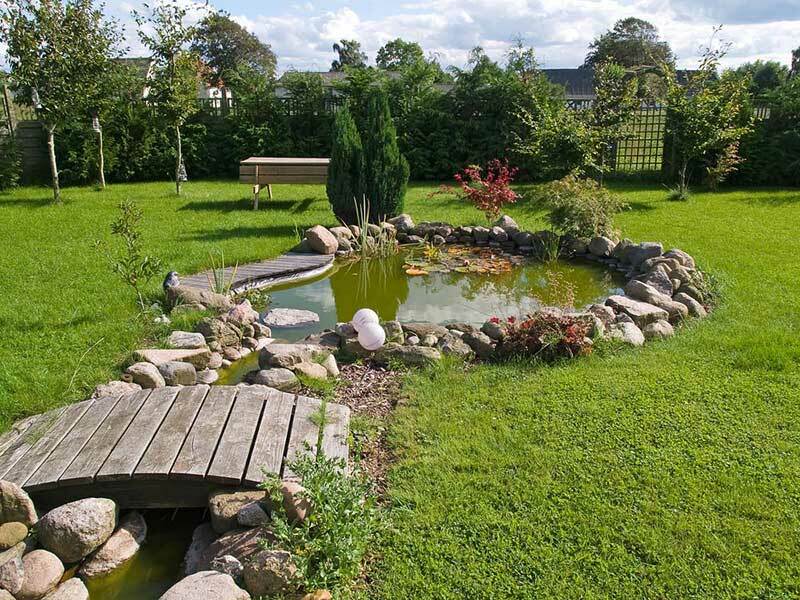 This sprawling landscape enjoys a labyrinthine water feature, in the form of this lengthy river-style garden pond. Flanked by larger rocks, with a polished stone bed, the feature winds its way across the lush lawn, dotted with flowers and shrubbery in a rainbow of colors. A project like this might be an epic undertaking, but the results speak for themselves. 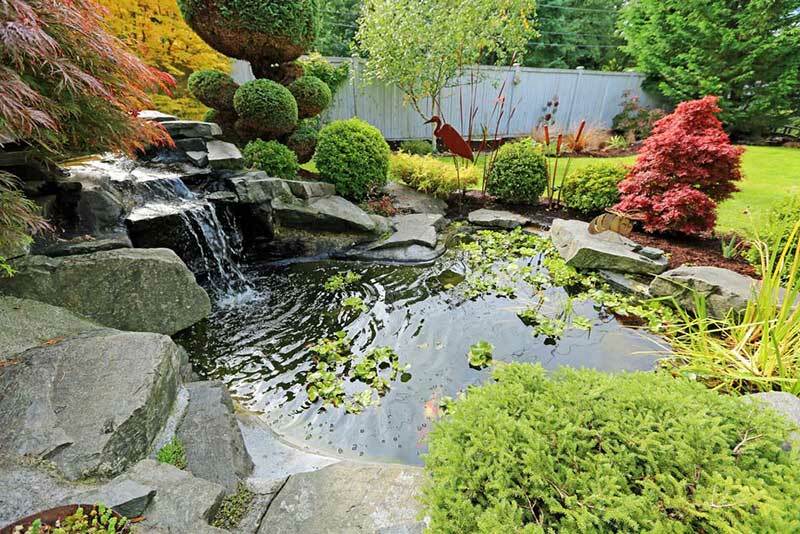 This gorgeous garden pond is a fantastical creation of flagstones and polished rocks, landscaping, and plumbing. A slim waterfall feeds into the main body, while plant life surrounds and imbues the water itself with flashes of green warmth. 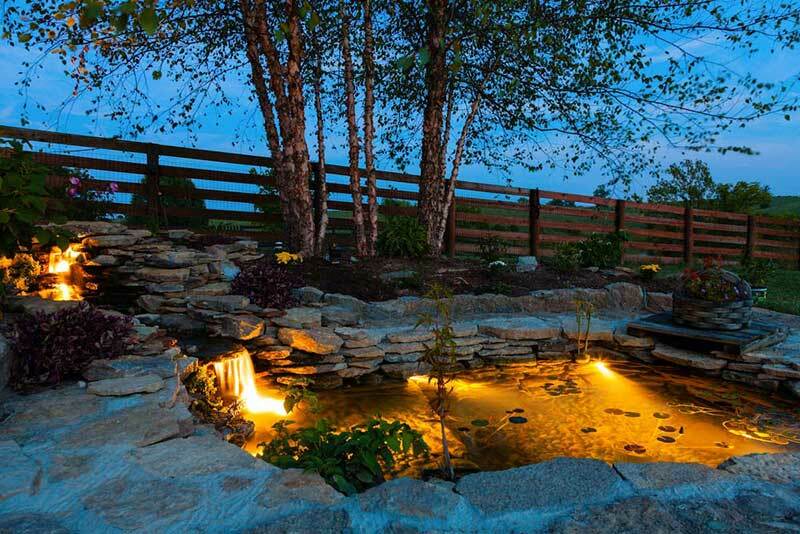 Seen at night, the cozy grotto-like pond features deep-set interior lighting, glowing from below the surface between layers of flagstone and a pair of waterfalls feeding the pond. 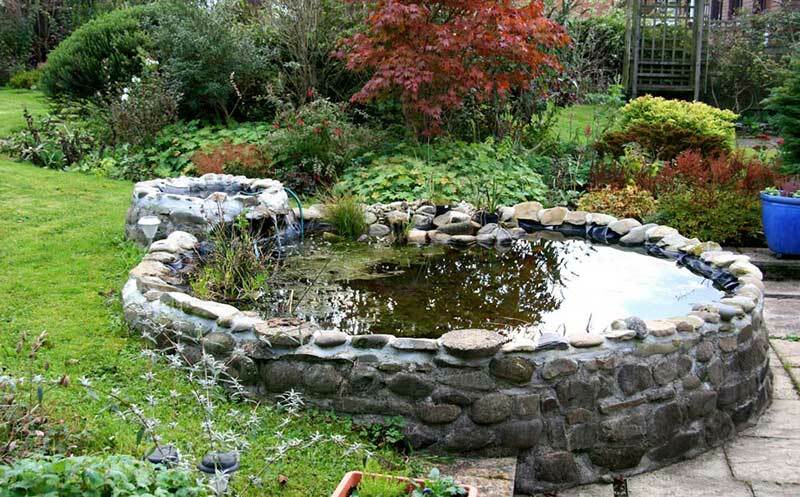 Our final garden pond stands at the more involved end of landscaping jobs, with a multi-tiered waterfall descending from a stone wall into the circular body of water below. Large flat stones and a terraced garden define the overall shape, while the contrast between red hued soil and beige stones highlights the pristine blue water. 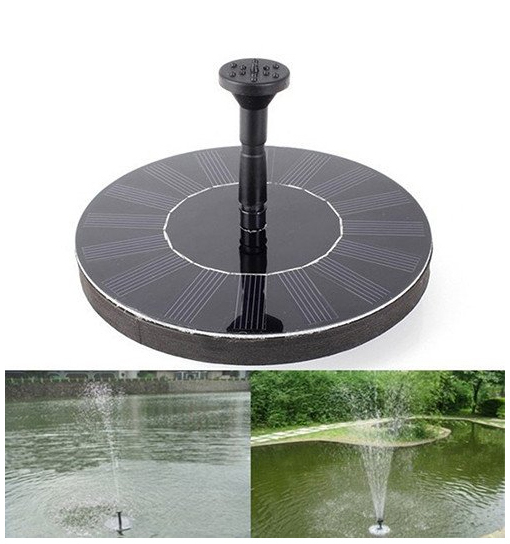 We LOVE this solar water fountain pump! Now available in our store! 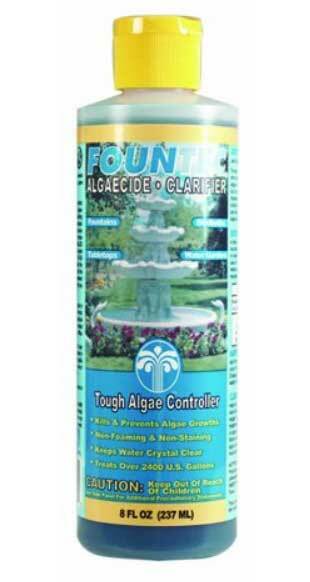 A water fountain is one of the most fascinating and pleasant additions you could make to any garden. Any moving water feature brings so much enjoyment: the sound is meditative, the sight is beautiful, and the possibilities are endless.